The eggplant and basil have slowly slipped away and been replaced with potatoes, brussel sprouts and beetroot. Meals are being planned around pumpkin, mandarins are being snacked on and kale? Well kale is fairly consistently there. I’ve said it before, but I will say it again. I feel that we are incredibly lucky living in an area that has such abundance in food varieties, despite the different seasons. The cooler seasons where in some parts of the world, the eating would start getting incredibly restrictive, here just gives us a different array of colours, tastes and still we get to keep it relatively local. That right there, is pretty damn wonderful. What’s cooking in your kitchen at the moment? Is it now the beginnings of Winter or Summer for you? If by chance you live in Sydney and you would like to try out a seasonal-delivered to your door fruit/vegetable box- OOOOBY is offering any readers $15 off your first box if you type in CITYHIPPYFARMGIRL as a referral code. 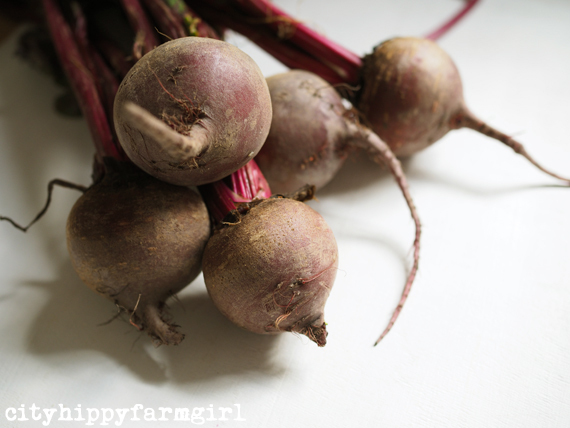 This entry was posted in Food Glorious Food and tagged autumn, eat locally, nsw, ooooby, seasonal eating, slow food, sydney, winter by cityhippyfarmgirl. Bookmark the permalink. Yes, we are enjoying all those veg over here too – Brydie – the leeks are really good at the moment and fennel – yum! We have broccoli, cauliflower and silverbeet coming out of our ears. Herbs galore and a healthy crop of carrots and peas at the ready…just a couple more weeks wooooo! Tanya your garden is divine absolutely divine. To have even a tiny square metre of what you have would be amazing…sigh. Enjoy all those carrots and peas to come. Kale is a good one to sneak in Johanna, sneaky goodness at it’s best. Oh okra is lovely cooked in a pan with tomato sauce and herbs. We use to eat ours with fresh lebanese bread but even better with your sourdough. My ‘convert the haters in to lovers’ brussel sprouts recipe is a bit of organic vegie stock and some herbs and finely chopped nuts in a pan until just soft. But this season I want to try baking them like I’ve seen happening online. Have peeps always been doing this? Probably:) Lovely seasonal box. Brussel sprouts weirdly I’m only just getting the love as an adult and well into my 30’s. Seems I’m making up for lost time now though. Damn, they are delicious! I don’t bother trying to convert anyone else in the household with them, as that means more for me! I love your stock dish idea with them too Zena. My family is having a love affair with cauliflower mash at the moment. Seems to be featuring in every second meal in our house! That’s always a good thing Michelle! Enjoy that mash! Lovely! We’ve been having a lot of cabbage (and making kim chi) lately – I am yet to make a sauerkraut for some reason, I will have to give it a go soon. 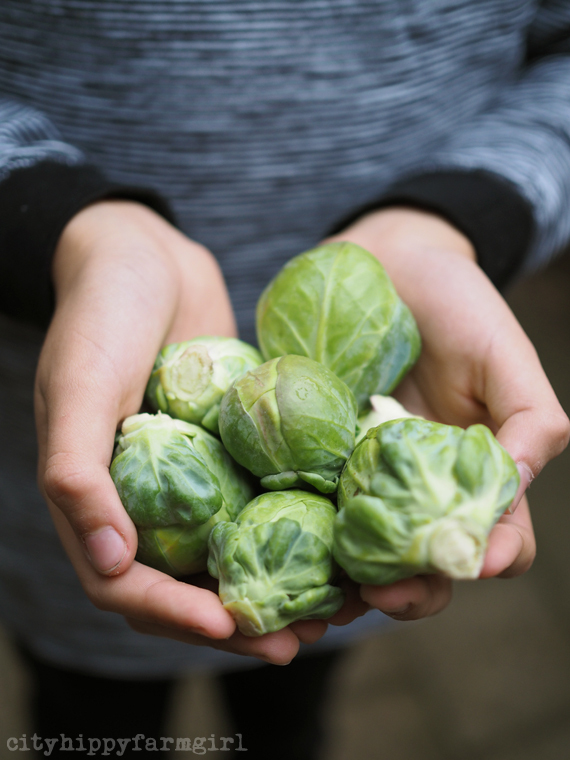 Have you tried roasting brussels Brydie? Roll them in a soupcon of olive oil and roast for 40-60mins when you already have something else in the oven.